PHP 7 has been out for a while now, and it brings some real improvements over the older PHP 5 versions. Version 7 is twice as fast based on WordPress performance tests, as well as having a whole bunch of security improvements that make it a “must have” software upgrade for any PHP application. PHP 5 versions have already reached their end-of-life support, so it’s crucial for you to move to PHP 7. Before you upgrade to PHP 7 however, it’s important to check whether or not your existing PHP application is compatible with the new version. This is probably one of the biggest reasons why many web hosts haven’t upgraded to PHP 7 – a lot of their clients are still using an older codebase with functions that no longer work, or work differently compared to before. If you have the option to move to PHP 7, then we suggest you take an inventory of your code and see what you need to change in order to make it compatible with PHP 7. Due to a large number of changes and improvements in PHP 7, it would be time-consuming and inefficient to manually go through your code and check for compatibility issues – in fact, it’s so easy to miss some deprecations, you would likely have to cover it several times over. What will help save both time and stress is a convenient tool that accepts your PHP files as an argument, runs them line-by-line against the new coding standards and functions of PHP 7, which then gives you a convenient readout of what you need to change. Luckily, such a tool exists, called the PHP 7 Migration Assistant Report. It can do everything we need it to in order to check our software for deprecated code. In this tutorial, we will show you how to install and use the PHP 7 Migration Assistant Report on a Linux VPS. There are a few tools available that check for compatibility, including the PHPStorm IDE (which isn’t free). But the open-source PHP 7 Migration Assistant Report is one of the easiest to use. 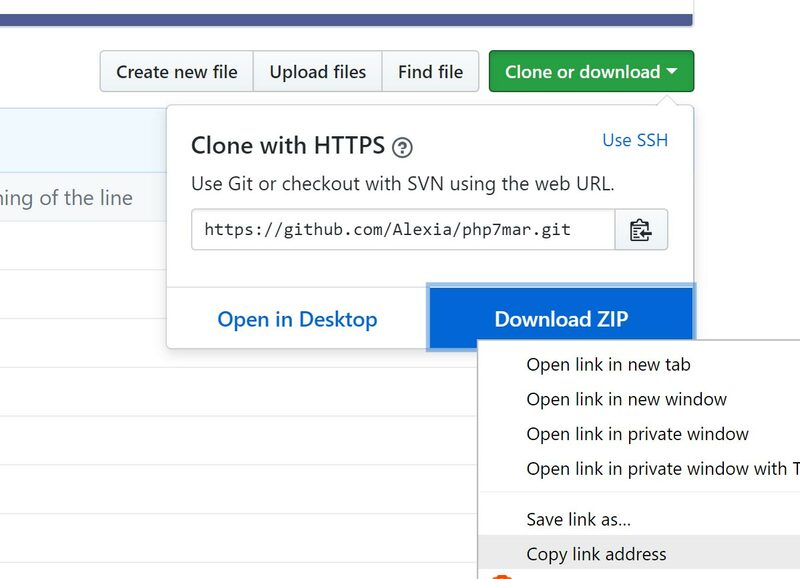 Once we download it from the GitHub repo, we can simply run it by providing the path to our PHP files for it to check. NOTE: You will need a working setup of PHP installed on your Linux machine. We now need to get the location of our PHP files. As an example, we’ll use the latest version of WordPress. 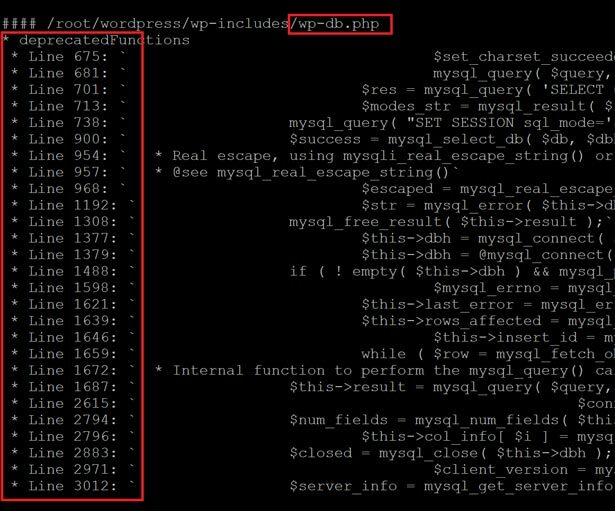 Most of the core PHP files are located in the directory “wp-includes”. You can use your application instead, so find the location of the folder containing the PHP files, and you’ll use it in the next step. php mar.php -f="[path to your folder containing PHP files]"
As you can see, it gives you a line-by-line list of the changes that need to be made to your code, along with each file name in the folder. You may be wondering why WordPress has outdated code, and that’s because not all hosts have migrated to PHP 7 yet. Thanks to the PHP 7 MAR tool, it’s easy to get up-to-speed and ready to migrate all of your PHP projects to the latest version. Of course, you don’t have to do any of this if you use one of our Outsourced Server Support Services, in which case you can simply ask our expert Linux admins to check for incompatibilities with your application and PHP 7 for you. They are available 24×7 and will take care of your request immediately. PS. 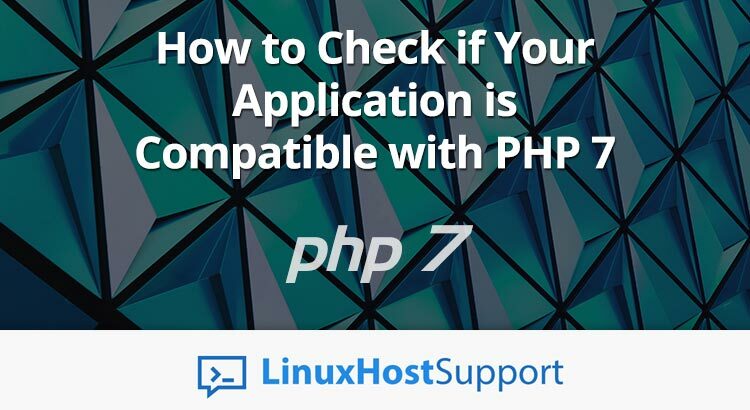 If you liked this post on checking your application’s compatibility with PHP 7, please share it with your friends on the social networks using the share shortcut buttons on the left, or simply leave a comment in the comments section below. Thanks.